We will select the most appropriate blend of acids for the skin, depending on your skin ailments and ethnic origin, followed by a soothing masque. Lactic Acid - Fine Lines, Ageing, Rosacea, Sensitive. Dehydrated skin. Mandelic Acid - Photo-ageing, Acne and Hyperpigmentation. Salacylic Acid - Acne, Acne Scars, Oily, Congested highly porous skin. Glycolic Acid - Ageing, Loss Elasticity, Fine Lines, Wrinkles and Acne Scar. The application of Cosmelan and it’s active ingredients offer a lightening action of the skin whilst eradicating skin pigmentation. The cosmelan treatment programme is adapted to type, age and whether the discolouration is caused by excessive sun exposure, visible light (computer screens), hormone fluctuations, trauma or birthmarks. Ideal for all skin types and tones. 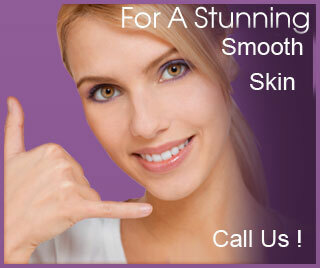 A specialised treatment designed to treat the main causes of the appearance of acne. It will exfoliate the skin, regulate oil production, descale skin pores, purify and remove impurities and promote de-pigmentation. An specifically formulated acid peel is used to advance the penetration of scientifically proven anti-ageing components. Good for the treatment of aged, photo damaged skin, wrinkles. Treatment includes a specially formulated home care preparation to maximise treatment outcome. Ideal for ages 40+ skin condition. Innovative ingredients inhibit the electrical pathway to the muscle.